Immediately upon signing up with Blue Sky Shipping, we automatically provide you with a personalized US shipping address, your very own skybox address. You can then instantly proceed to shop online and send all your packages to your new skybox address. 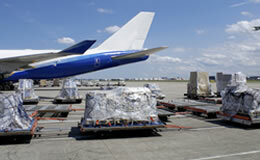 Upon arriving at our Miami facility, we will process your packages and ship them to Trinidad via air. Additionally, we can crate, shrink wrap, or palletize your cargo upon request. 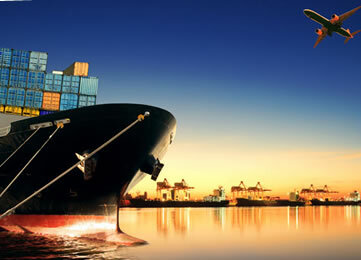 Our Miami warehouse is equipped to handle any type or size of your cargo. The warehouse is fully secure and is equipped with a HD camera system to monitor the entire process. We stand by our guarantee that your cargo is fully secured upon arrival at our warehouse in Miami until it is delivered to your doorstep in Trinidad. Our local staff will go through the process of clearing your packages for speedy delivery to your door, or conversely you can collect it at our office situate at Corner Xavier and Leon Street, Orchard Gardens, Chaguanas. We accept payment via LINX, credit card or cash upon delivery of your packages.